AVG TuneUP Unlimited will help increase the speed of your computer, minimize system crashes, improve the battery life, and increase the available space on your hard drive. You can now install this on as many household computers as you like to keep them running at their best. PC TuneUp for Business: Boost the speed of your company computers and productivity of your staff. Follow the link to the AVG site, then click the “buy” button to see the 2 year option. AVG’s Internet Security Unlimited offers complete protection for your home or business PC. It offers multiple layers of protection to keep your private data safe and your computer free from viruses, spyware, malware and hackers. These versions of AVG’s suite of high security products will not slow your PC down, so you’ll keep running at high speed. Massive savings when you upgrade your current software instead of buying a new version. Once on the AVG site, scroll down to find your current version and click the “Upgrade or Renew” link to enter in your license number. 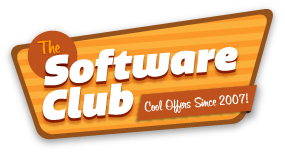 You must already own a copy of AVG software or the Free version to make use of this offer. Try before you buy. Test out any version of AVG software including Internet Security Unlimited, Tune Up Unlimited and AVG Ultimate. Purchase a 2 year version of any AVG home software like Internet Security, AntiVirus or PC TuneUp and save an extra 20% versus buying a new copy each year. Select your product below. AVG PC TuneUP will help increase the speed of your computer, minimize system crashes, improve the battery life, and increase the available space on your hard drive. – Id protection enhances your ant-virus software by shielding passwords, credit card numbers and other personal information. – Online shield allows you to download and exchange files without risking virus infection using ICQ, MSN and Yahoo! Instant messenger. – The anti-spam uses a regularly updated database for detecting all forms of spam. – Anti-virus and anti-spyware will protect you from getting or spreading a virus, worm or Trojan horse. Also prevents spyware and adware gaining access to your private information. – Block hackers for good with the enhanced firewall. – Offers an easy-to-use interface. – Able to run on multiple operating systems. – Creates a rescue disk to scan the computer in MS-DOS mode if a virus creates a serious system problem. – 100%-Virus Bulletin Award- Virus Bulletin, an independent malware journal, reviewed AVG Internet Security. – West Coast Lab reward-West Coast Labs honored AVG Internet Security as the first product ever to receive its Checkmark Anti-Malware Dynamic Certification. So go ahead- use AVG’s Internet Security to surf ,search, download, bank and shop safely without fear of identity theft! AVG has just launched its new range of Business product updates.